On a family roadtrip I detoured along Munich,Germany for a quick look at propliners on display here. In spite of the drizzle which started to fall, I had a good look round and found 2 propliners here at Munich's Frana Josef Straus Int'l Airport allowed for a look inside. So here are some photos which I like to share, they will give an impression of what is on view. 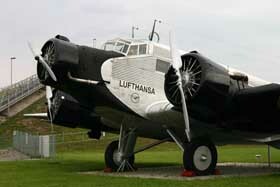 Munich IAP did a good job creating this Visitor's Airpark and a number of historic airliners are on display. 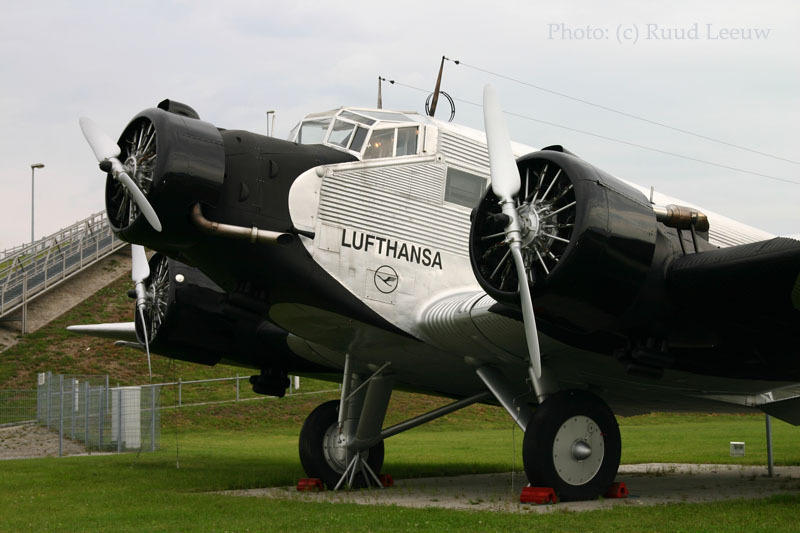 One is led to think that this is a Junckers Ju-52, but these rarely survived, most were destroyed after the WW2 or shortly thereafter. 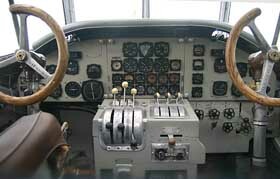 However, CASA in Spain produced these planes too and these were labelled CASA 352L. 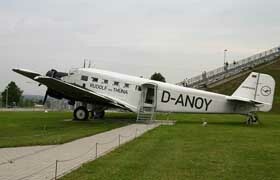 D-ANOY here is CASA 352L c/n 54 and is a splendidly restored airframe, as the interior shots will testify too. "No other aircraft is as reminiscent of the pioneering days of air transport as "good old Aunty Ju". The opening of airmail service to South America in 1934, exploratory flights to the Far East and the Pamir expedition in 1937 with the famous Ju-52 bearing the D-ANOY call letters piloted by Freiherr von Gablenz remain legendary events in the annals of aviation. 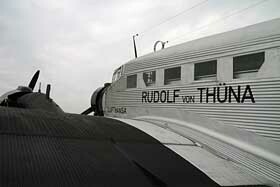 With this aircraft Carl August Freiherr von Gablenz, a passionate aviator and Lufthansa board member, became the first pilot in the world to cross the Pamir mountain range. He undertook this spectacular pioneering flight with Robert Untucht and Karl Kirchhoff to seek a new air route to the Far East on behalf of his company." 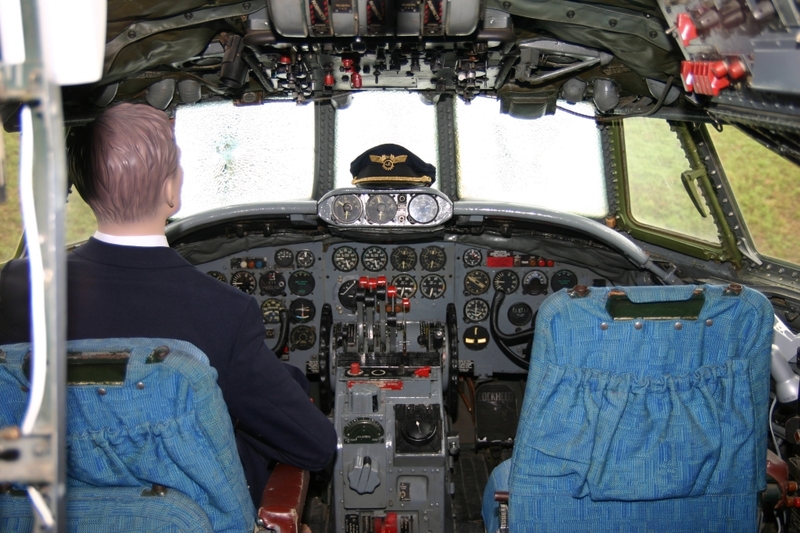 "The extremely accurate reconstruction of the historic aircraft was made possible through the involvement of 20 former Lufthansa staffers and Munich Airport employees." CASA in Spain built 170 examples of the CASA 352 version of the Junkers JU.52/3m and the type was designated T.2B in Spanish military service. 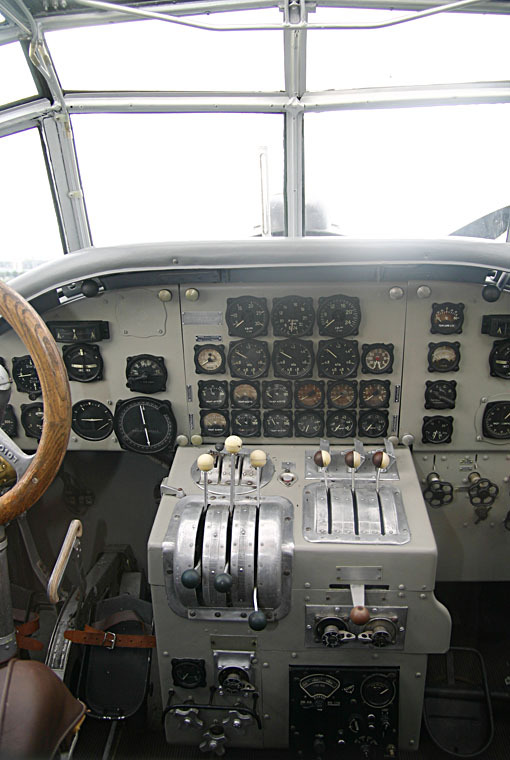 This Douglas C-53B served in the US Army Air Corps with serial 41-20058 (c/n 4828). Pan American Airways operated it for Air Transport Command in 1942 and as such it found its way to Africa. At some point it received tailnumber NC34989; but in 1945 it was registered as OY-DCA for DDL and named "Arv Viking". SAS became owner on 02Aug48, but 2 years later it became OY-KLE. 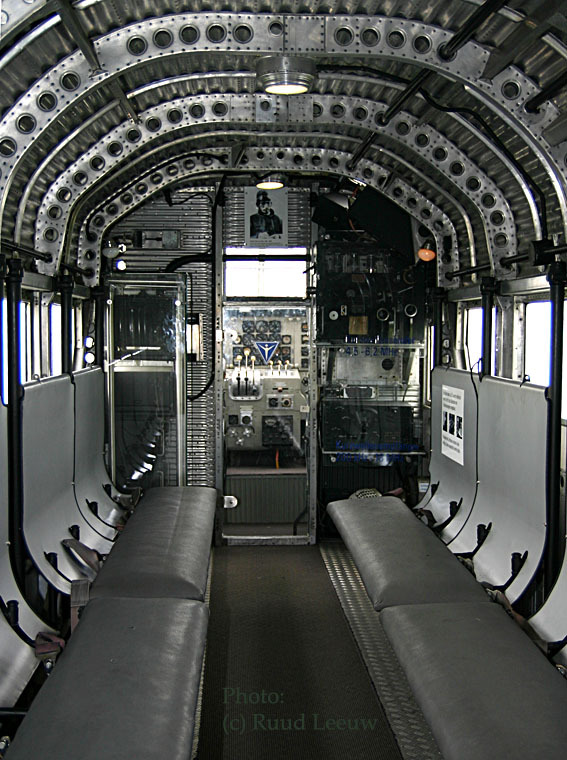 It was delivered as OH-VKA to Kar-Air on 10Jan54. Much later, on 06Feb70, it became LN-KLV for Norfly A/s, but it was returned to Kar Air on 11Jul76. It did not go back to the USA but it was entered in the US Register as N65371 for R. Korastinsky of Dusseldorf,Germany on 03Aug76. At some point (date?) it was registered to Kurfiss Aviation of Munich, but nothing much happened as it remained at Munich and on 16Jul76 it was reported as preserved with serial "65371". Later it was put on display at Frankfurt and in 1984 it was described as being in Norfly colours; later again (the Norfly c/s were removed) it had a fake registration N569R. In 1993 it moved back to Munich (disassembled) and initially it was on display in Swiss Air Lines c/s but without the serial (1995); in 1998 I saw it for the first time and found the (fake again) registration HB-IRN had been painted on. So why was it painted in the Swiss Air Lines livery? 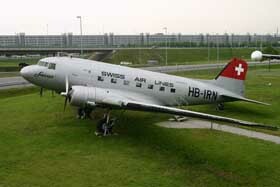 Stephan Mayer provided the answer: "because Swissair sponsored the paintjob during the restoration!" This is Lockheed L.1049G Super Constellation with maufacturer's serial number 4671. 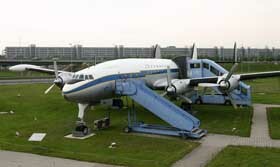 It was delivered to Air France in February 1957 as F-BHML; it went to Tunis Air for a lease in the summer 1961, but was returned to Air France that same year. Ownership changed to Compagnie Air Fret on 08Mar68. F-BHML was retired by Air Fret and stored at Nimes-Garons by August 1976. It went to Air Classics during November 1977 and was ferried from Nimes to Düsseldorf, Germany on 27Jun78. It appeared painted in Air Classics color scheme, but with a fake registration D-ADAM, by January 1979. It was moved again, from Düsseldorf to Frankfurt Rhein-Main Airport during June 1985 and this time marked (again with a fake registration): D-ALAP. Its final move from Frankfurt to Munich's FJ Strauss International Airport took place during 1993, where it underwent extensive restoration. 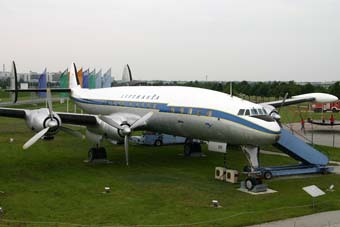 It is seen here painted in 1955 Lufthansa color scheme with false registration D-ALEM to commemorate Lufthansa’s first trans-Atlantic flight on 087Jun55; in the cabin one can see a historical film, depicting Lufthansa Super Constellation flights.